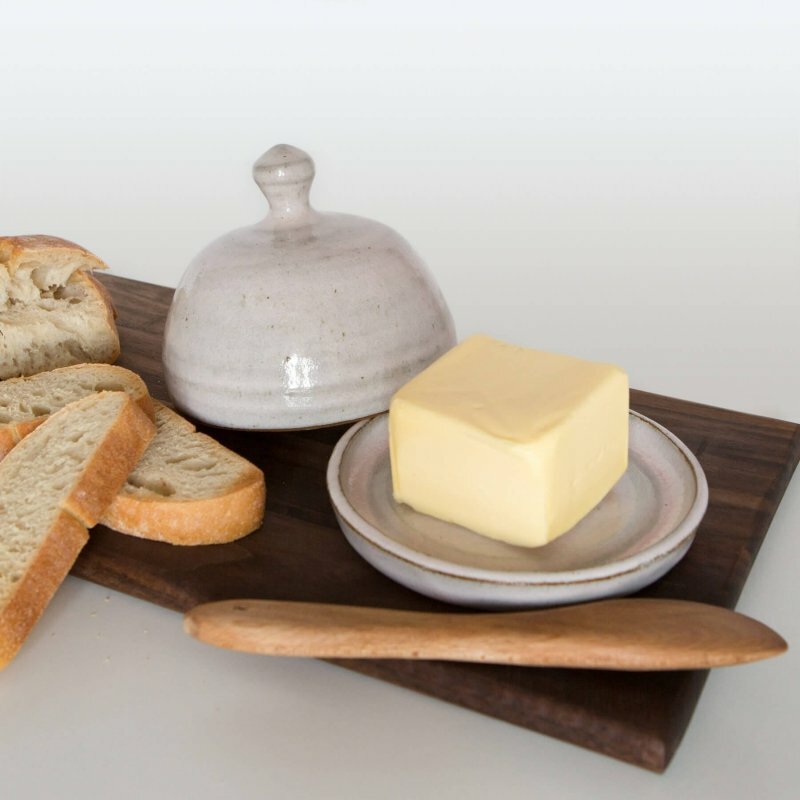 I use this as a butter dish but it can be whatever you want it to be! 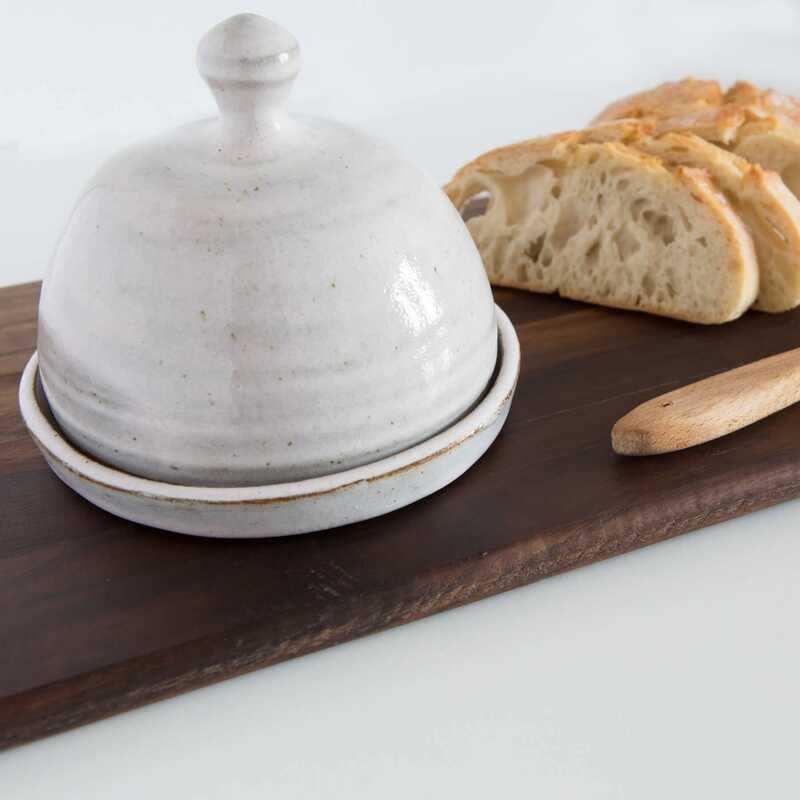 I’m calling this a butter dish because that’s what I use it for in my kitchen, but you could easily use this lovely dish for cheese to wow your guests at your next dinner party! It comes in two pieces, the dish and the cloche. 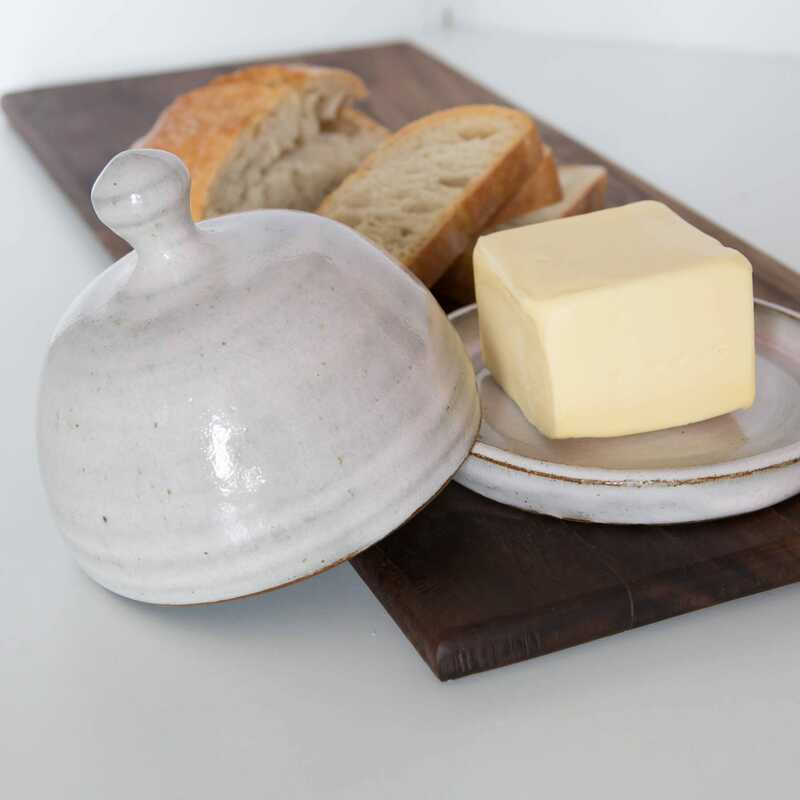 It has a beautiful, durable, food safe, white glaze.